Parent and grandparent alert! Teens are more than 15 percent less likely to say they would purchase soft drinks and other sugary drinks that include health warning labels, according to a September 2016 study led by researchers at the Center for Health Incentives and Behavioral Economics in the Perelman School of Medicine at the University of Pennsylvania. The study is among the first to examine how warning labels on sugary drinks influence teens, and builds upon research published by the team earlier this year which showed that parents were less likely to select sugary beverages for their kids when labels warning about the dangers of added sugar – which can contribute to obesity, diabetes, and tooth decay – were present. The new study is published in the American Journal of Preventive Medicine and has significant implications for policies being considered in several states and cities to require sugary drinks to display health warning labels. In the study, researchers used an online survey to gauge the beverage selections of more than 2,000 participants aged 12 to18 and from diverse backgrounds. The beverages included either no label at all, or one of five warning labels — one featuring calorie content, and four displaying a variation of warning text. Overall, 77 percent of participants who saw no label said they would select a sugary drink in a hypothetical choice task. Warning labels indicated that consumption of sugary drinks contributes to obesity, diabetes, and tooth decay, with slight variations in wording – such as emphasizing that these conditions are “preventable diseases” or clarifying that consuming sugary drinks contributes to “type 2 diabetes.” Depending on the specific phrasing of the warning labels, participants were 8 to 16 percent less likely to select sugary beverages when health warning labels were present compared to no label. 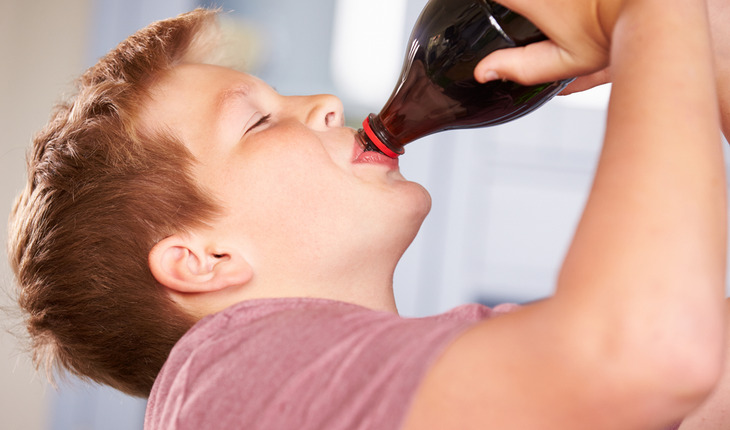 The authors note that the warning labels also contributed to teenagers’ understanding of the potentially negative effects on health of regularly consuming sugary beverages, with participants viewing the labels indicating they were more likely to understand that these drinks don’t contribute to a healthy lifestyle. Additionally, the majority of participants (62 percent) said they would support a warning label policy for sugary drinks.